You can master working on your own website and/or blog using WordPress. Before you go any further I recommend you read the post covering 5 facts to know about using WordPress and if you’re still keen (which I’m sure you will be), then let’s see if this course will work for you. Introducing the online WordPress course for beginners, taking you through each aspect of setting up WordPress for your website or for your blog, from a basic install through to having a well-optimised, raring to go, website with which you can grow your business. 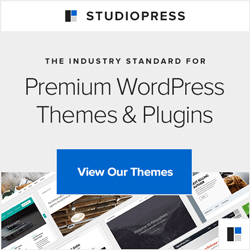 The basic WordPress dashboard – the main sections and what each does. Essential set up and settings – after the install, these are the next actions to take before you get stuck in. Media – how to add and edit images, documents, videos and podcasts. Widgets – usually in the sidebar or areas within your design (the theme) to which you can add extras. Menus – creating, editing, placing. Plugins – understanding what they are and can do, how to choose and install. considering and adding the best plugins (functionality) to your website so that it is secure, backed-up, easy to share and all kinds of other things, as well as how to find others! This course launches on Friday 12th September and is £60.